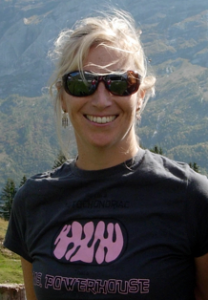 Home Faculty Tanja Taivassalo, Ph.D.
Dr. Taivassalo completed her Ph.D. at the Montreal Neurological Institute in 2001, addressing the safety and efficacy of exercise training in patients with mitochondrial DNA disorders, a genetic neuromuscular disorder with no known treatment. Postdoctoral studies at the Institute for Exercise and Environmental Medicine in Dallas, Texas with Dr. Ron Haller advanced her knowledge of cardiovascular physiology and molecular biochemistry in conditions of rare muscle metabolic diseases. She returned to McGill University in 2005 to establish a research lab focused on the investigation of neuromuscular adaptive physiology and pathophysiology, employing molecular genetic and cellular studies of muscle tissue alongside magnetic resonance spectroscopy and integrative whole-body assessment of cardiovascular and pulmonary responses to exercise. Her research contributions have led to improved detection of muscle oxidative impairment through the use of exercise testing, elucidation of pathological mechanisms and development of interventions based on muscle adaptation to exercise in mitochondrial disease and chronic obstructive pulmonary disease populations. Dr. Taivassalo held research funding as a Principal Investigator from various national and provincial agencies in Canada (CIHR, CFI, NSERC and FRSQ). Dr. Taivassalo joined the University of Florida in 2017, and is excited to contribute to the mission of the Myology Institute by continuing to pursue her primary research interests in the evaluation and development of innovative therapeutic strategies for neuromuscular disease. Of particular interest are interventions aimed at inducing adaptive responses within skeletal muscle mitochondria such as exercise training and exposure to intermittent hypoxia. She is also affiliated with the Imaging DMD (Duchenne Muscular Dystrophy) group, the Center for Respiratory Research and Rehabilitation as well as the Institute of Aging.